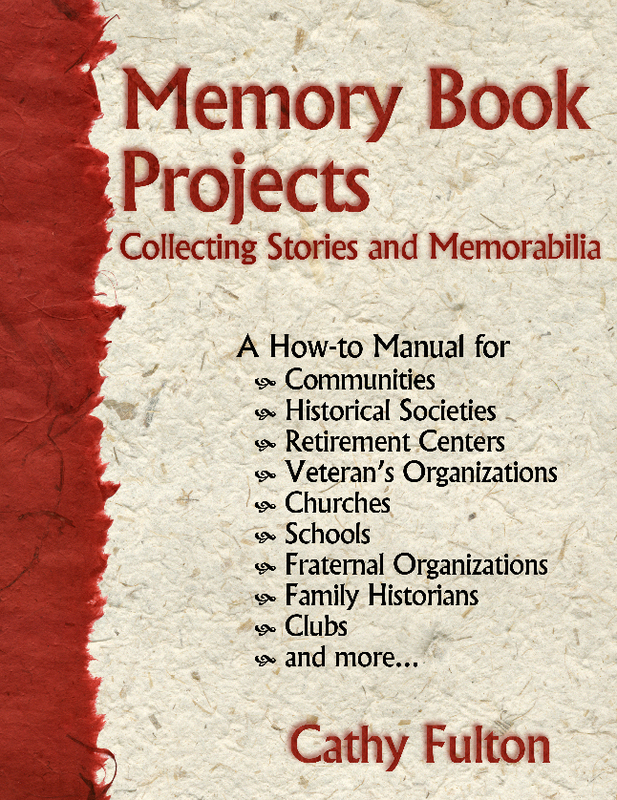 Memory Book Projects: Collecting Stories and Memorabilia provides detailed instructions for Memory Book Project directors—whether they are working for a historical organization, preparing a church or organizational history, or putting together a book of family stories. Appendices include topic ideas, methods to get contributors to write, printing and publication recommendations, reproducible worksheets for the project director, and a list of resources. In the summer and fall of 1999, the Southwest Seattle Historical Society (SWSHS) teamed up with Capturing Memories to create a memory book for West Seattle’s Log House Museum. The SWSHS sponsored the Long-Timers, a group of community elders who have lived in West Seattle all or most of their lives. Pat Filer, the Museum Director, had the idea to have these elders write their stories down so they could be stored in the Museum archives. As the idea evolved, it came to be known as the “Memory Book Project.” With the help of Capturing Memories, a “memory-sparking” workbook was created and distributed to over 70 people who lived in West Seattle in the first half of the twentieth century. Over 42 workbooks were returned, some filled to the margins with wonderful memoirs of the 1920s, ’30s, and ’40s. Folks were hungry to share their stories! From this collection, a book and museum exhibit were created. The book, West Seattle Memories—Alki, contained over 125 images and stories. A large version of the book was made for display in the Museum’s new exhibit, 47 Voices Remember. This exhibit showcased even more stories, images, and artifacts, and it included videos from SWSHS’s oral history project. Elders in the community and their families felt ownership of the book and exhibit. The historical society received many stories and images for their archives which it may not have otherwise acquired. The museum was able to create an interactive exhibit to encourage visitors to share their stories. The books were sold in the gift shop, resulting in continuing revenue for the historical society. Community members and museum visitors became more aware of the local historical society and learned that local history is their history. A children’s version of the book, Tell Me a Story, was also created. Along with memoirs that will appeal to children, it includes instructions to help them begin collecting their own family and neighborhood histories. The Southwest Seattle Historical Society was awarded a Long Term Project award from the Association of King County Historical Organizations (AKCHO). The project was so successful, that we felt that the idea could be used by any group to gather memoirs—churches, communities and neighborhoods, fraternal organizations, families, retirement centers, and more. I documented the process we used and developed planning pages and forms to help any Memory Book Project director to conduct a successful project. This book, Memory Book Projects, Collecting Stories and Memorabilia, is now available in the Capturing Memories store. 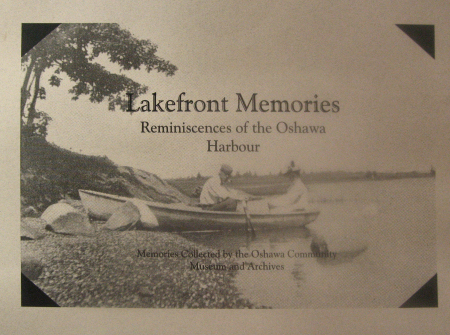 The Oshawa Community Museum and Archives was awarded an Award of Merit from the Ontario Museum Association for our Memory Book Project, Lakefront Memories. The award recognizes outstanding achievement in writing and research in the museum community. At the award presentation, the Executive Director of the Ontario Museum Association told me the award committee was struck by the usefulness of this medium to gather and preserve history. Another strong point was the way memory books could be adapted to suit virtually any situation or environment. Aside from the publication of the book, our project has also spawned the production of a CD rom in which we will feature photos from the project as well as people reading their reminiscences. We hope to have this done by the fall. We also produced a curriculum unit based on our memory book for grades 1 and 2. This unit meets the provincial curriculum for these grades in several subject areas. The narrators’ voices capture the spirit of our Issaquah’s unique history and the stories are illustrated with 90 crisply printed historic photographs! 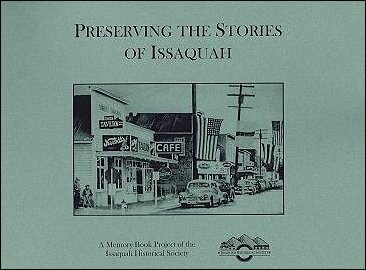 Preserving the Stories of Issaquah is available to purchase from the Issaquah Historical Society. Preserving the Stories of Fall City is a well-organized and well-researched local history anthology that showcases a rich array of primary sources, including oral history interviews and first-person reminiscences, but also maps, photographs, documents and newspaper advertisements and reporting. The edited memories are a delight to read, with surprises on every page—this book opens doors into Fall City’s past that would otherwise remain closed....I think it will be a major contribution to our shared history in central Puget Sound. 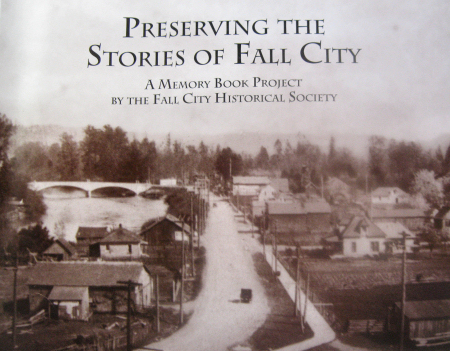 Preserving the Stories of Fall City is available for purchase from the Fall CityHistorical Society. Books available at the Kent Historical Museum. Cathy Fulton’s Memory Book Projects how-to manual is so thorough, concise, and professional that it almost does the work for you. This is one must-have manual for professionals and lay people in a variety of fields. Memory Book Projects...is tailor-made for those organizations that wish to reach out to their communities and build new bridges of communication and understanding. Wherever the methods outlined in this book have been employed, they generate new interest, involvement, and contributions to the sponsoring organization. This book couldn’t be better organized or more clear. It‘s obvious that if your community had Cathy Fulton running your memory book project, it would come off without a hitch. So we‘re fortunate to have her wisdom and experience to draw on. The schedules, examples, and samples make it possible to take this book and start your own community project tomorrow. Memory Book Projects is an exceptionally comprehensive resource for any group thinking about implementing a history-gathering project. How-to books often focus on creating enthusiasm. Cathy Fulton’s workbook does that but, more importantly, she provides a comprehensive and thorough program that breaks projects down into a step-by-step process and virtually guarantees success. Community history projects are important means by which we can provide new insights into the experiences. To borrow a statement from Rudyard Kipling, “If history was told in the form of stories it would never be forgotten.” Memories and reminiscences are an important part of any community’s history and our aim is to preserve this history one story at a time.